If you want to feel the PULSE of Chattanooga then make your home on the NORTH SHORE in exclusive HERITAGE LANDING. 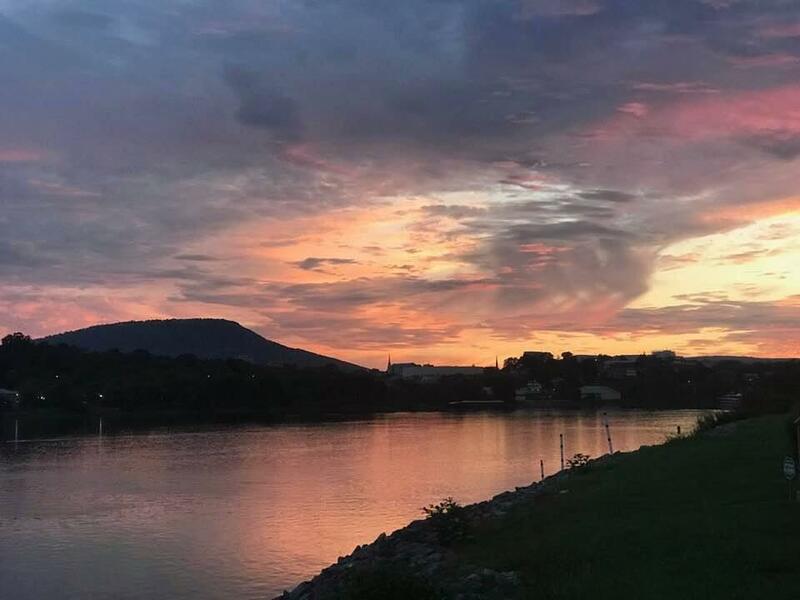 This beautifully remodeled condo is right on the Tennessee River and has AMAZING views of the Tennessee River, Chattanooga sunrises and sunsets, downtown, and Lookout Mountain. Enjoy front row seats to boat parades, regattas and incredible firework shows. Heritage Landing is a gated community (with 24 hour security) that includes a clubhouse, 2 swimming pools and a tennis court. Heritage Landing has easy access to the most popular venues in the city - the Walnut St Bridge, Coolidge Park, Renaissance Park, outstanding restaurants, shopping, the Tennessee River Walk and so much more. This private neighborhood has wide, flat streets with sidewalks, mature landscaping andfountained ponds. Condos on the Tennessee River don't come up often and one that is updated is even rarer. Make your appointment before this one gets away! Features of this newly remodeled 3 bed 2.5 bath condo are: Master on the Main - large window with view of river. Master Bath - his and hers marble vanities, steeping tub, glass shower, walk-in closet with shelves, heated floor. Walk-in closets in bedrooms Kitchen - Marble tops & backsplash, porcelain tile floor, stainless appliances, window seat. Storage drawers under window seat and slide out shelves in pantry. Dining room also has slide out cabinet shelves. Wet bar with marble top. Floors - Marble floors (living room, dining room, entry hall and half bath). Porcelain tile in kitchen. New carpet - stairs, loft and upstairs hallway. Wood floors in all three bedrooms. Tile in sun porch and in 2 car garage. All glass sun porch. 2 car attached garage with cedar closets and additional storage above garage. Patterned concrete patio overlooking river. Abundant natural light in every room. Cathedral ceilings in living room. Loft with gallery overlooking living area and river. Located near the cul-de-sac and experiences less traffic. Highly sought after floor plan "O". HOA includes exterior maintenance, irrigation, lawn maintenance, roof, exterior painting, security, pools, tennis court, club house. Note - Curtains in upstairs bedroom overlooking river go with seller. Listing agents are related to sellers. Buyer to verify any and all information they deem important.